Have You Heard About EDexpo 2015? 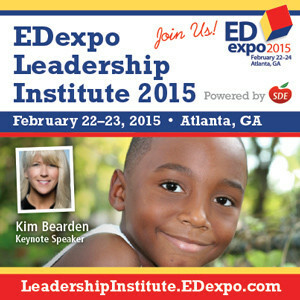 TeacherCents is so happy and fortunate to have been chosen to attend EDexpo 2015 in Atlanta Georgia. A huge thank you to the Education Market Association! They truly have put together what is going to be an amazing EDexpo! They thought of everything, from accommodations, transportation, to creating an amazing mobile app, to help individuals get the most out of their experience, check it out here. It is truly impressive, the number of diverse and exciting companies the Education Market Association (EDmarket) has brought together, to present the latest and greatest in the education market space. Look at this spectacular list of exhibitors that will be in attendance here. EDmarket has pulled out all the stops to bring in such a diverse group of presenters and products. Exhibits covering everything, from classroom organizational products, art supplies, technology in the classroom, curriculum instructional programs and products, to educational publications. Legends in the educational space that I grew up with, such as Crayola and Scholastic will also be in attendance. Incredible! I am truly excited to see everything, but I am especially looking forward to the exhibit from one of the fastest growing trends in education, the Maker Movement. Decatur Maker, a non-profit in the Atlanta area, is coordinating area on the exhibit floor where attendees can interact with the Makers and try out the equipment. The participating organizations will display typical tools found in Makerspaces that capture the spirit of making such as a 3D printer, laser cutter, robotics demonstration, woodworking equipment, and more. Sounds like a lot of fun! 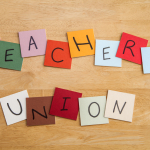 Stay tuned for updates from TeacherCents throughout the weekend and in the days and weeks to follow. Once again, a big thanks to the Education Market Association and EDmarket Dealer! Teachers, where do you buy your classroom supplies and instructional materials? I know that beyond the materials my school supplied, I went to Staples, Kmart, CVS and Michaels for the most part. 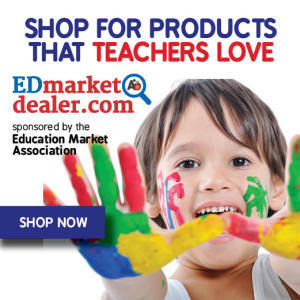 I never knew about Parent Teacher Stores until I found EDmarket Dealer, which is sponsored by the Education Market Association. There are hundreds of stores, across the country, that specialize in one thing and that is selling educational materials for students, parents and teachers. No more sorting through the endless isles in search of the items you need. You can now support your local Parent Teacher Supply Store by shopping there in person, or find them online. Check out this link here. Thank you for reading and for sharing and stay tuned for updates from #EDexpo2015!